Planet Eclipse is coming out with a new season of the series Artifact. This upcoming season will be featuring Dynasty. 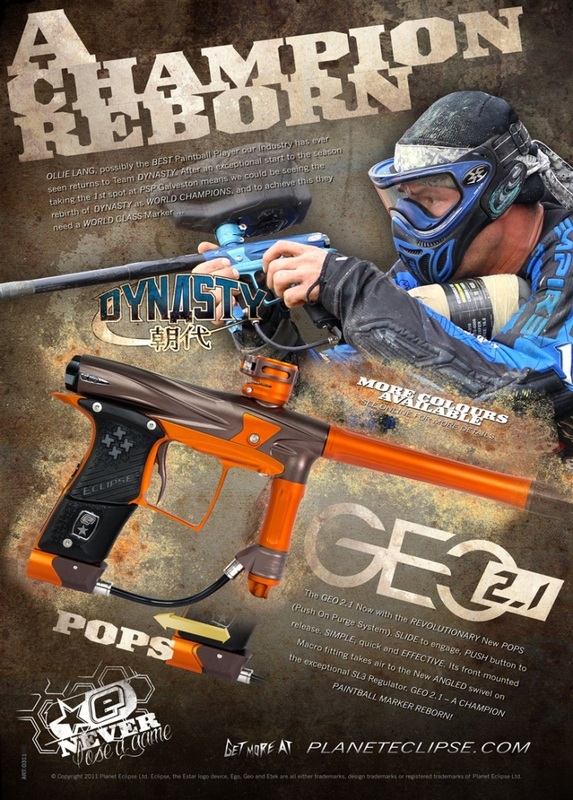 Now, the Geo2.1 brings some of the critically acclaimed features of the recent Ego11 to the Geo. Namely the New POPS ASA and the Angled Swivel on the SL3 regulator. These 2 new additions further improve the already exceptional ergonomics of the Geo2 as well as producing a sleeker and more attractive profile. SC (Spool-Cure) Bolt – helps eliminate 2nd ball clipping in the feed stack. Planet Eclipse has come out with e-store where you can download the latest PE videos. Videos are I-tunes and I-tunes device format, so you must have I-tunes on your Mac or PC. Videos run between $2.99 & $4.99. Eclipse will continue using its youtube channel, and publishing free video content as well, usually posting to the Youtube channel two weeks after debuting in the store.